Tropical Fruit Cocktail Salad has 5 ingredients and comes together in about 5 seconds. It’s creamy delicious and everyone loves it! 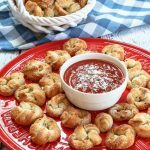 This delicious recipe was first published 3/2016 and has been updated to improve the reader experience. Tropical Fruit Cocktail salad is one of those “save the day” recipes. 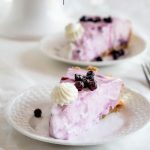 Dump 5 ingredients together and in about 5 nanoseconds, and you have a creamy dreamy dish that everyone is guaranteed to like! Now I am sure you are wondering if I’ve forgotten how to cook, but I just had to share this Fruit Cocktail salad with Cool Whip. It’s quick, easy, and perfect for any occasion. When I’d make this Fruit Cocktail recipe my kids thought it was really a special day. They always loved it and now make it for their families. It just reminds me of a sunny day and it perfect for a pot luck with the neighbors or a simple meal. With the holidays, graduations, and nicer weather activities coming up, it’s nice to have a recipe that is fast so you can concentrate on the more important things. If you grew up with canned fruit cocktail, you knew that the one who opened the can got the cherry. The rest of us just got a bunch of peaches, pears, and grapes. They were good, but who’s kidding who, the cherry was what you wanted. With this salad, you can just leave it as is or hey, go dump in enough cherries for everyone, and we have a fruit cocktail party salad. I used Dole Tropical Fruit instead of fruit cocktail. It has nice big pieces of fruit that aren’t mushy like some canned fruit. I tend to make this Fruit Cocktail recipe salad more in the Spring or Summer. It’s cool and creamy and everyone loves it. When we have a potluck with the neighbors I always bring it. The kiddos dive in to get their share before the adults finish it off. Use different flavors of pudding. Vanilla, Lemon, Coconut, are all delicious options. Add a cup of nuts. Pecans or macadamia would both be delicious. For a real tropical flair add toasted coconut. Add additional maraschino cherries to make the kiddos happy! 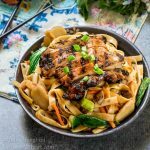 Pin this to have on hand for when you need a quick delicious dish! Trifle Bowl – Just because it’s a simple salad doesn’t mean it can’t be pretty! Serve it in this trifle bowl and guests will think it’s a little fancier than it is! If you like this recipe leave me a comment and a 5-star rating. Here are a few more recipes I think you’ll like! Dump five ingredients together and you have a delicious Tropical Fruit Cocktail Salad, that everyone loves. Add some maraschino cherries, and we have a party! Combine all ingredients in a bowl and refrigerate. Chill at least 30 minutes. 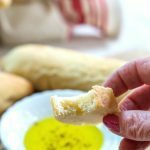 « Simple Ciabatta Bread Recipe – Made two ways! This will definitely save my bum when I am cooking for church! The ladies love these types of salads and this is definitely going on the menu for next session! Thank you Jennifer! It is so easy and I make it quite a bit in the summer. 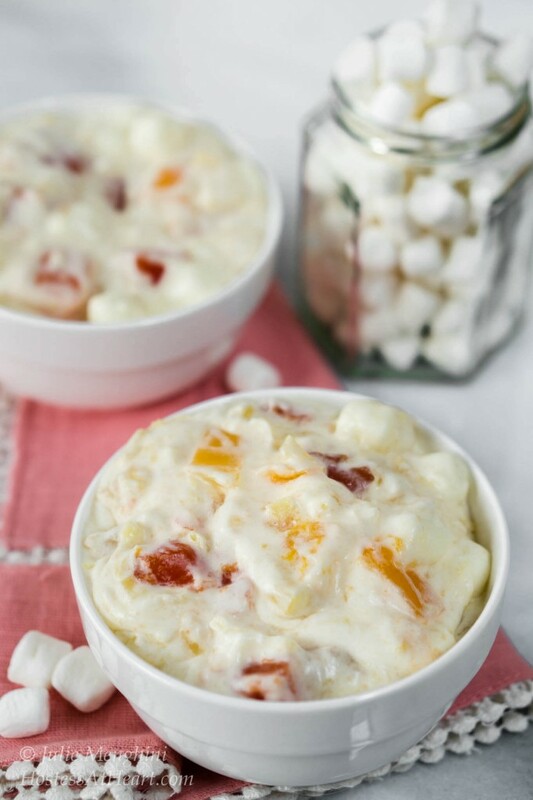 I grew up eating a lot of fruit salad in India, basically chopped fruits with vanilla custard, so this post brought back happy memories 🙂 LOve the idea of making it with lemon pudding! Thank you Naina! This was one of my children’s favorite salads, and it’s so easy that I still make it for John and I or when we go to potlucks. Yes, I always wanted the cherry! Love that you can put as many as you want into this salad! And this is so perfect for warm summer days, especially for bringing to a picnic or BBQ! Meghan you slipped into the spam. Stay out of there girl! Thank you. Love these dishes too and John and I can both make them our own. Julie~ I can’t wait to take this to our memorial day picnic… My niece is hosting it and she remembers my moms recipe, but none of us have a copy of that one. Im thinking this is a pretty close alternative! And she will especially love the pineapple! Its her favorite! Thank you Michele! I think that there are a lot of versions. I’ve make it with vanilla and lemon pudding and different fruits too. Always easy and yummy. Thank you Aena! You are right that it is easy and we really enjoy it! I love this salad, I especially love how easy it, you can’t beat that – especially in the warmer weather. And who doesn’t love fruit cocktail? Thank you so much for sharing Michelle! It’s easy and always a hit even though it doesn’t like it’s picture taken. What a lovely and easy salad! Thank you Lynz! Kids love it too. Has you son had his baby yet? 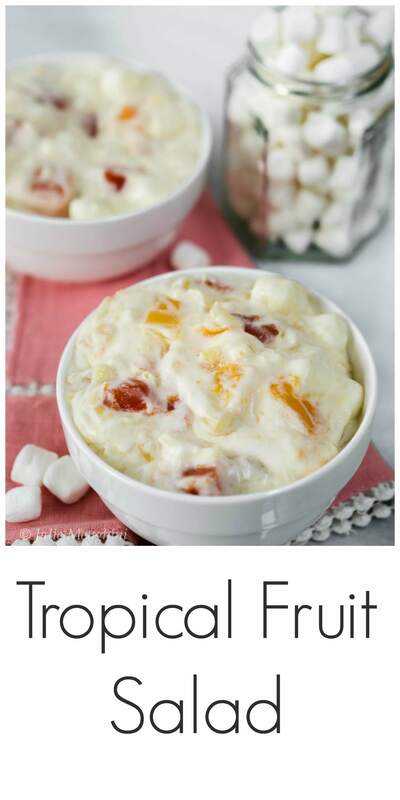 Oh it was so fun to see this recipe, firstly it looks fabulous, and secondly we have something similar in Sweden called “Mimosasallad” but I have never seen it with lemon pudding and marshmallows. Instead we always have the cherries and the “sauce” is made of whipped cream and mayonnaise. Thank you Petra! Your version sounds delicious too! Wow, you weren’t kidding when you said it was easy to whip up. It’s an absolutely perfect dessert for when you need something quick. Thanks for sharing another fabulous recipe. Thank you so much Lily! I hope you had a wonderful Easter weekend! Oh, so many refreshing flavors! Perfect for any occasion and any time of the year. Any easy peasy Ana! Happy Easter to you and your family! Thank you so much Hilda! Happy FF and Happy Easter to you too! Thank you so much Jhuls! Happy FF! Yummy Julie! I’ve made this type of fruit salad before – the kids loved it! I loved how quickly it pulled together! Thanks for reminding me of this tasty treat! Thank you Linda! I didn’t remember it myself until I started thinking about my Easter menu. Hope you have a wonderful Easter. This look so simple to make and fresh. A very nicely presented salad too! 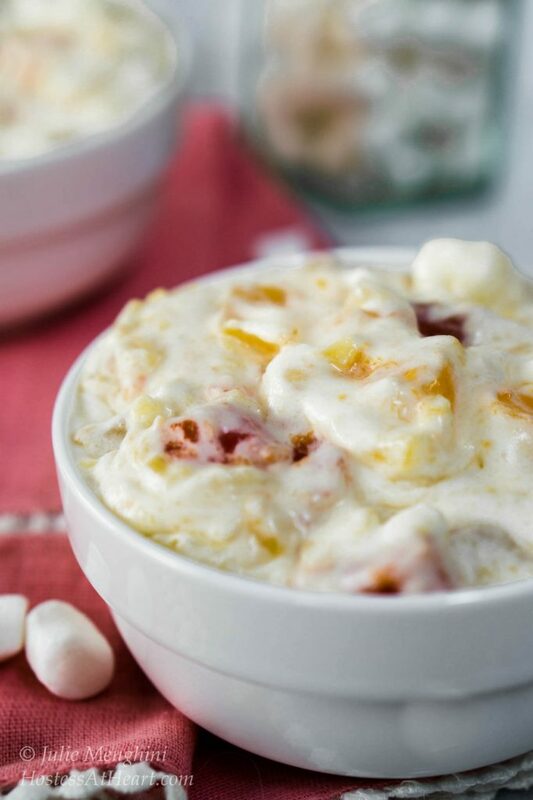 I make a few varieties of this fruit salad and my family loves it too. I often will serve it when the fresh fruit is not so tasty or I am in a hurry. Good salad to have any time of the year and you can have the ingredients always on hand! Thanks Judi. These salads are just so handy, and a couple marshmallows make them a child’s favorite.